YOA Cable supplies optical fibre products throughout South Africa, as well as other African countries. 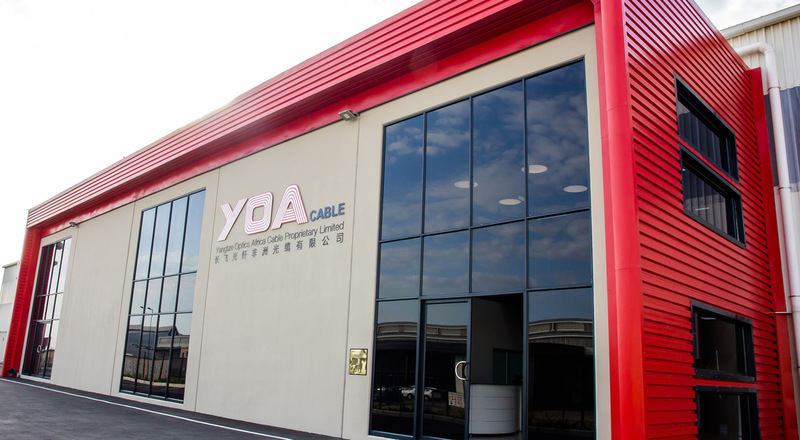 YOA Cable manufactures a comprehensive range of optical fibre cables and distributes specialised optical network products as part of our customer-focused solutions. YOA Cable is a 15,000m2 purpose-built optical fibre cable manufacturing facility in Dube Trade Port.